One of the most important aspect of any person’s Facebook profile is the photo that is displayed on the left corner side of a page – also called as Facebook profile pic. 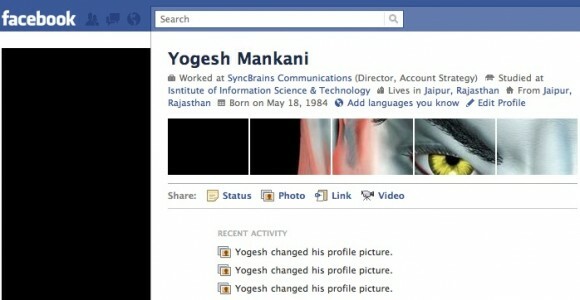 Now, if you have updated your Facebook profile page, you must have seen the change. If you haven’t updated it yet, check this link to get newly revamped Facebook profile page. 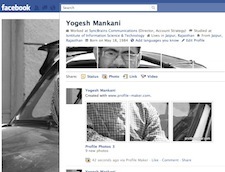 The new Facebook profile page can now accommodate six images and some people are taking advantage to show some serious creativity and redesigning their Facebook profile page with the use of creative animations, photographs and typography. You can check showcase of awesome Facebook profile page design which we have compiled yesterday. 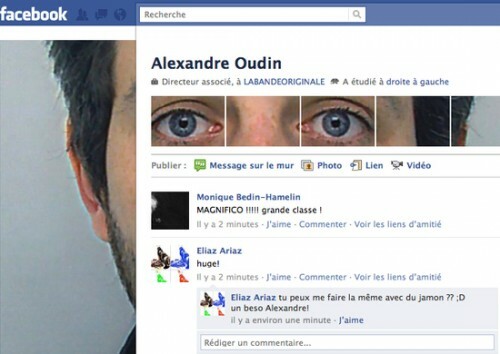 It was all started by a French artist Alexandre Oudin who uses the rectangular profile pic and row of five recently tagged photos in to order to create one unified effect across the new Facebook profile page layout. He worked with the new layout to make a picture of his eyes and face spill across the page. This post is focused on how to customize your newly revamped Facebook profile page, if you like to make your Facebook profile page something similar as shown above and examples in this link. 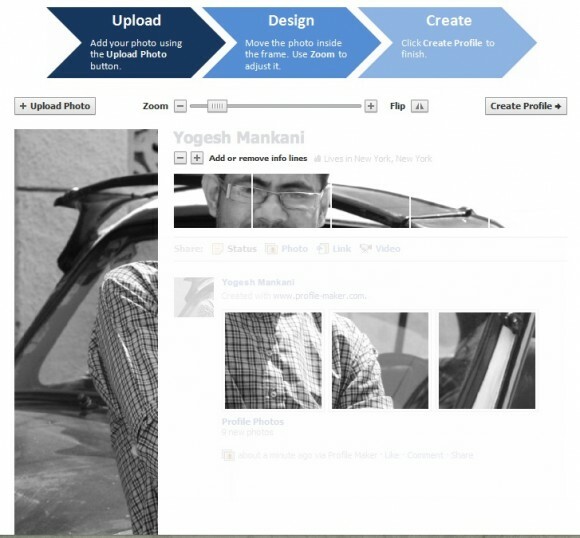 Let’s see Top 5 easy ways to customize Facebook photos on the new Facebook profile page. First step, if you haven’t updated your Facebook profile page to new layout, check this tutorial on how to get the newly revamped Facebook profile page today. 1) Play with Photoshop or any image editor : If you are a photoshop user and want to customize your Facebook profile page. You need to get a image of 700 px (H) and 500 px (W) and cut in the dimensions shown below in the image. Alternatively, you can download readymade PSD template and import your image as a new layer. Now go to option “File” and click on “Save for web” – this will save all cut images in a folder. Now, upload all these images to you Facebook photo album and then tag them in the sequence shown below. 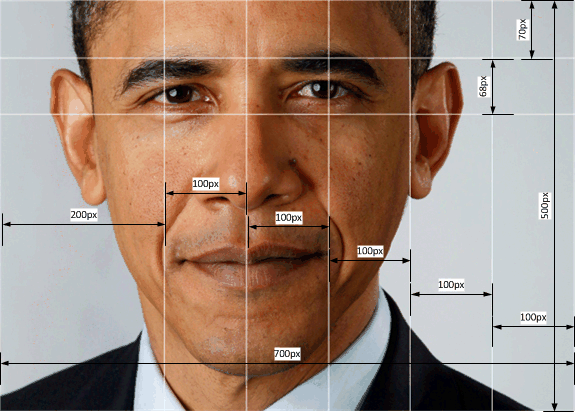 2) Profile – Maker : The above tutorial described by Amit Agarwal is great if you are well-versed with Photoshop, Gimp or any other image editors. But, slicing images in a perfect size is always not ben easy for me. And frankly, it’s difficult for a lazy person like me. But, there are some tools and Facebook apps that allows you to customize your Facebook profile page easier than image. One such app is Image – Maker – just upload the photo using “Upload photo” button, move the photo inside the frame and zoom to adjust it and click on “Create Profile” button to customize your Facebook photo page layout. Yes, you are done – no need to edit the photo or tag them in any sequence. This app will do it for you. See, I just made my profile with this app. 4. YourNewProfile : One of our reader named Sander dropped a link for this Facebook tool that allow you to customize your Facebook profile page. The funda is same – upload photo, move and resize it for better fit and make profile. Check, how you can pimp your profile with this tool like the way I did below. 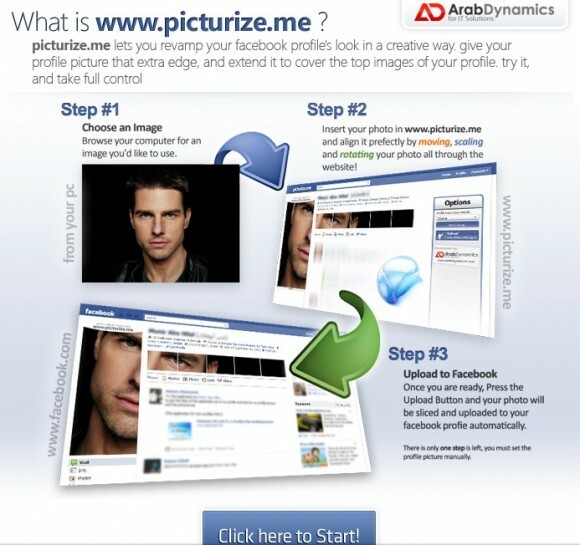 5. picturize.me : A Microsoft Silverlight app that allows you to revamp your Facebook profile page in the same way that above apps worked. Upload image, scaling it and upload it to Facebook. You have to install Microsoft Silverlight plugin if its not installed on your computer, don’t worry it’s just matter of seconds.